Composer-guitarist Caroline Planté and dancer-choreographer Mariano Cruceta flip common dance scripts. The beat became a dancer’s master long before Grace Jones dropped her album Slave to the Rhythm in ’85. Flamenco dance is a rare exception to the rule: With complexly layered foot stomps, hand claps (palmas) and sometimes also castanets, the solo flamenco dancer sets the rhythmic cycles (compás) of each routine. Accompanying musicians, typically a guitarist and/or singer, follow the dancer, who’s often female. Cruceta Flamenco, based in Spain, flips yet another script. 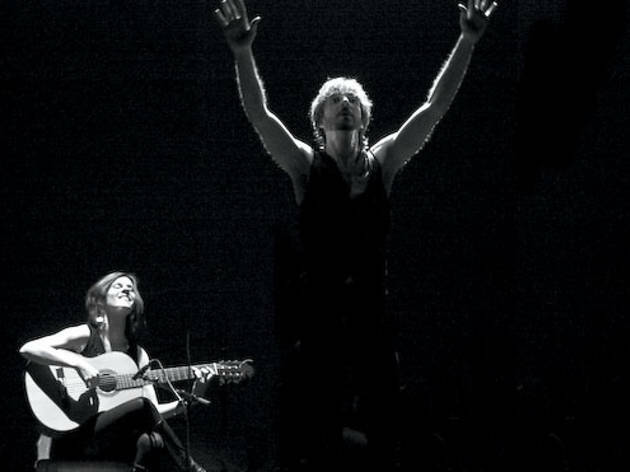 Composer Caroline Planté is one of just a few women found on the top shelf of flamenco guitarists worldwide, and her male partner, Mariano Cruceta, is the artistic director and choreographer for its live shows. The couple’s next appearance, and first in Chicago, happens Friday 9 at Instituto Cervantes. When Planté was 14, in her hometown of Montreal, her father brought her onstage with him to play flamenco music in a Spanish-owned venue, to a mostly Spanish, traditionalist audience. This cross-culturalism comes not with the conventional explanation, i.e., We just wanted to see what happens when we combined these two art forms! Pure flamenco has technically peaked in its homeland, Planté says, and coloring its future has to happen outside of the lines. 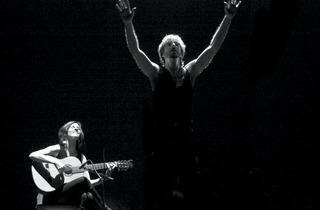 Cruceta Flamenco performs one night only during the Chicago Flamenco Festival, March 9 at Instituto Cervantes.